Over the past 2 weeks, the British pound has soared more than 8 percent against the U.S. dollar. Like many countries around the world, the U.K. has succumbed to higher gas prices but unlike some other countries, the weakness of the British pound has exacerbated the rise in inflation. Hotter consumer prices helped to fuel today’s gains in the British pound, but it was comments from Bank of England Governor King that took the GBP/USD above 1.47. Quantitative Easing has been kept a lid on gains in the pound, causing it to under perform currencies such as the euro. The CPI numbers are significant however because annualized CPI is now BACK ABOVE the BoE’s 3 percent target. However this morning, BoE Governor King talked UP the pound, which is a dramatic departure from his previous comments. He said that there is “no reason why the sterling should go any lower” and that the sterling’s fall was not engineered. 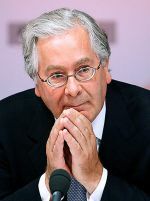 He also said that the central bank originally aimed for GBP75bn of Asset Purchase Facility over 3 months but “might need to do less if it works.” These positive comments are probably a reaction to the recovery in the equity markets and the recent drop in bond yields. The 1.4650 level in the GBP/USD is fairly significant (100-day SMA). 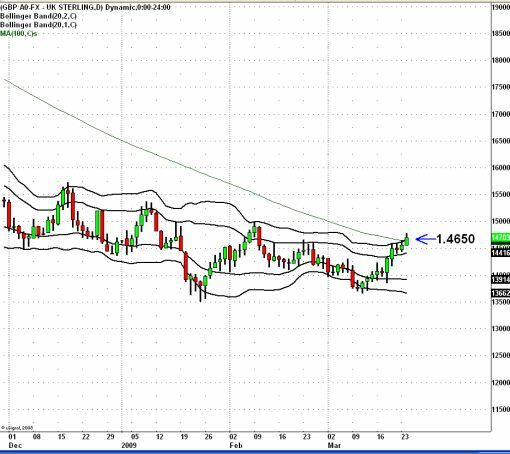 If the currency pair manages to hold above that level, the next area of resistance is 1.50. ← Will the Treasury’s Plan Work?